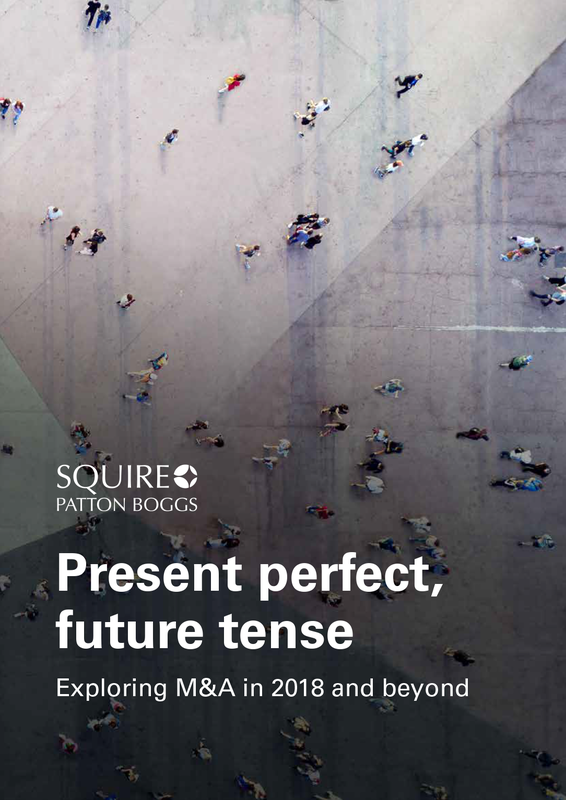 Mergermarket is pleased to present Present perfect, future tense: Exploring M&A in 2018 and beyond, published in association with Squire Patton Boggs. The report features M&A data for 2018 to the third quarter, underscored with insights into what is driving corporates and private equity houses to seek out transactions and where they see most opportunity. The first three quarters of 2018 saw brisk M&A activity globally: between Q1 and Q3 2018, there were 13,820 deals announced worth US$2.8tn, making for a potentially record-breaking year for deal value. By comparison, the same period in 2017 saw US$2.2tn of deals announced. Healthcare-related transactions feature heavily in the deal value league tables for the first three quarters of 2018. By far the largest deal so far in 2018 is the US$79.7bn acquisition of Ireland-headquartered biotechnology company Shire by Japanese pharmaceuticals group Takeda, announced in Q2. The first three quarters of 2018 saw private equity firms globally announce buyouts worth US$416.3bn, up from US$408.2bn in the same period of 2017, according to Mergermarket data.